The month of October has been a packed and exciting one so far at EvidenceCare – just the way we like it. 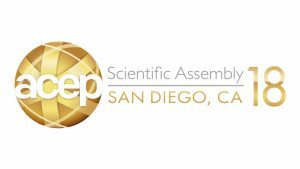 We hit the ground running at the beginning of the month in sunny San Diego at ACEP18, the annual meeting of the American College of Emergency Physicians. This show gave us the opportunity to engage with more than 9,000 emergency medicine professionals and to give a sneak preview into our new user interface. The ACEP18 conference gave us another exciting opportunity as well. We were proud to announce, in conjunction with emergency medicine EHR pioneer T-System, that users can now access EvidenceCare directly from their T-System account. We have loved partnering with this stellar organization to make evidence-based medicine accessible and convenient for its providers. EvidenceCare is proud to invest in the future of medicine. This year, we did so by donating our 2017 prize-winnings for being named “Digital Health Technology of the Year” at last year’s ACEP conference toward two scholarships for some of emergency medicine’s brightest young talent. 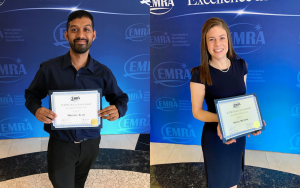 We were excited to meet Nicole McAmis and Mustafa Alam, the two emergency medicine residents who received the ACEP18 scholarship we sponsored in conjunction with EMRA. We know they are going to do great things in the world of emergency medicine! 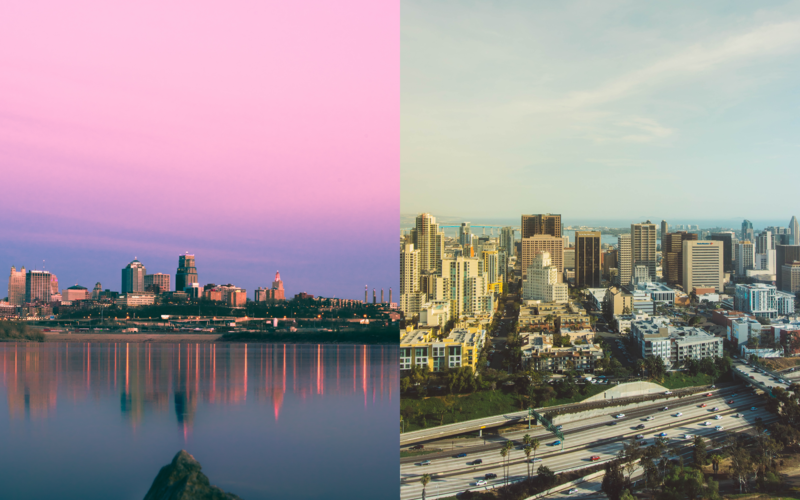 Our month didn’t stop in San Diego. Just a few days later we flew out to Kansas City, Missouri for our first ever Cerner Health Conference where we introduced our product to the nearly 10,000 attendees. We were excited to share that EvidenceCare is near the completion of Cerner code validation and will soon be available to all Cerner users, right from their EHR. EvidenceCare was one of over 140 exhibitors in the conference’s 90,000-square-foot Solutions Gallery, where we met Cerner users from around the world. Our solution was extremely well-received, and we were able to gain valuable feedback on the Enterprise version of our tool from attendees and providers on the front line of healthcare. CHC18 brought to an end our conference season for the year. Our sites are set on implementing some of the great ideas we gleaned from our time with users and preparing for our full launch into the Cerner environment. Not able to attend a show for a product demo? No worries – our tool is free. Try it out for yourself here or drop us a note.